Leaving a Food Truck Festival hungry! Succulent kebabs, smoky BBQ ribs, wood-fired pizzas, meat-filled Banh mi breads and Jamaican meat patties are much more fun to eat when served out of food trucks. But never ever go to a food truck festival hungry, is what I learned from today’s experience at the one held at Assembly Row, in Somerville. There were huge lines in front of each and every food truck, which we didn’t have the energy to brave. And what resulted in this lack of energy at noon, on a beautiful summer day? Well, we had skipped breakfast just so that we could eat like a hog during lunch. Our growling stomachs were making us grumpy. So we promptly decided to opt for dim sum and headed toward Chinatown. But here are a few pictures that I managed to click before we left the food truck festival, hungry! 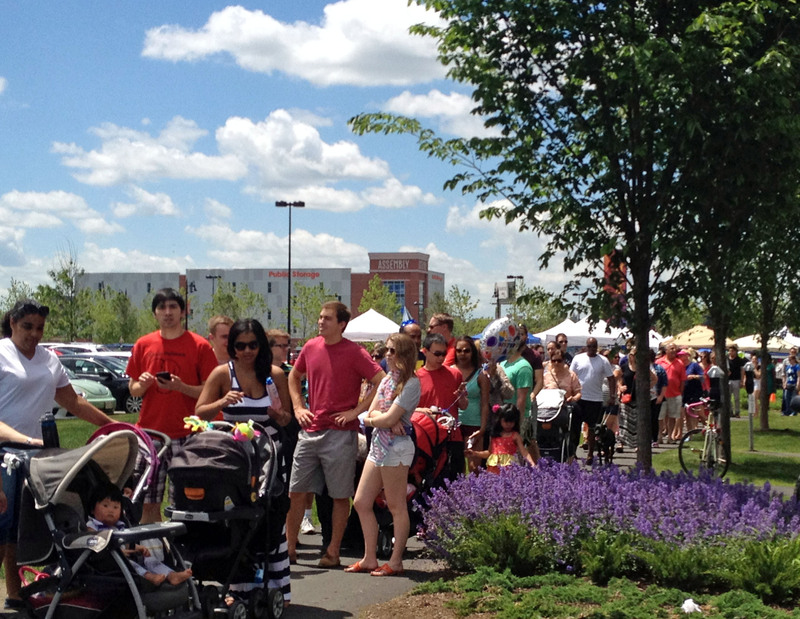 Categories: In and around Boston | Tags: assembly row food truck festival, festival, food truck festival, food trucks, hungry, somerville food truck festival, trucks | Permalink. Wow, look at those lines! I never would have imagined. Sad, but good choice on the Dim Sum! Oh I didn’t know you guys lived in Boston! I was actually at this food truck festival! Good recovery strategy with the Dim Sum! Yes, in Somerville. Dim Sum never fails but especially on that day it worked its wonders! I so wanted to try the Bon Me truck though. Glad you liked the post 🙂 I guess food trucks are in vogue now, in this part of the world.